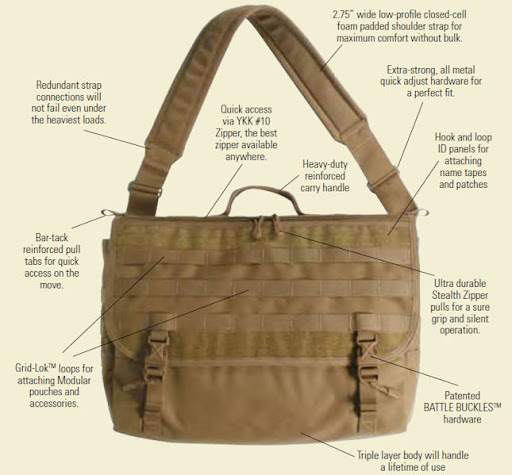 If, for whatever reason, you still wanted the Gen 1 version of the MBUS, you can still buy it from Magpul’s website while supplies last, and you can probably expect local shops and gun shows to sell them for the next 2 to 10 years as they try to exhaust inventory without reducing prices. 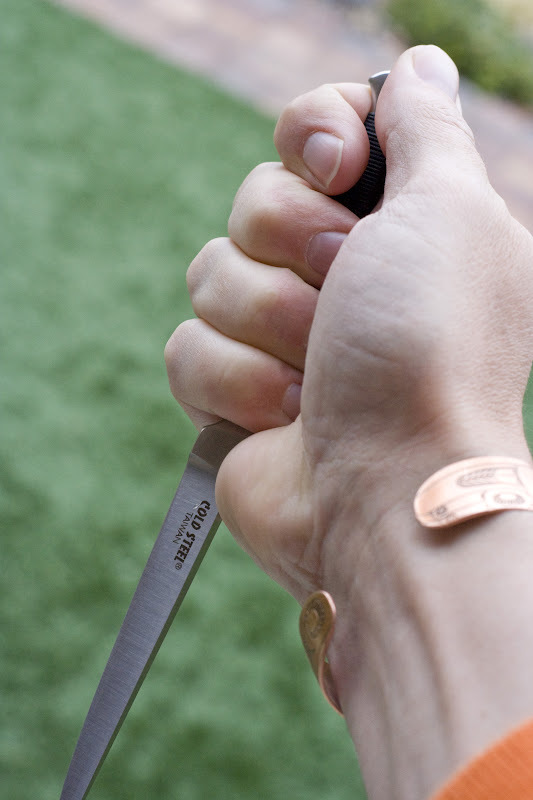 The Cold Steel Spike is something that’s been in my peripheral vision for years. I can’t seem to find any record of when it was first introduced, but I recall it being advertised at least 15, if not 20, years ago. At the time it caught my eye due to it’s slim and succinct lines. It was sold with a sheath that could be strapped to your forearm and was clearly designed as a concealed hold out weapon. Designed by Barry Dawson, The Spike is elegantly simple and purpose built to be deadly. Over the years, Cold Steel has occasionally updated the design, offering different blade and handle shapes, some less ridiculous than others, but in my estimation the original design remains the best. 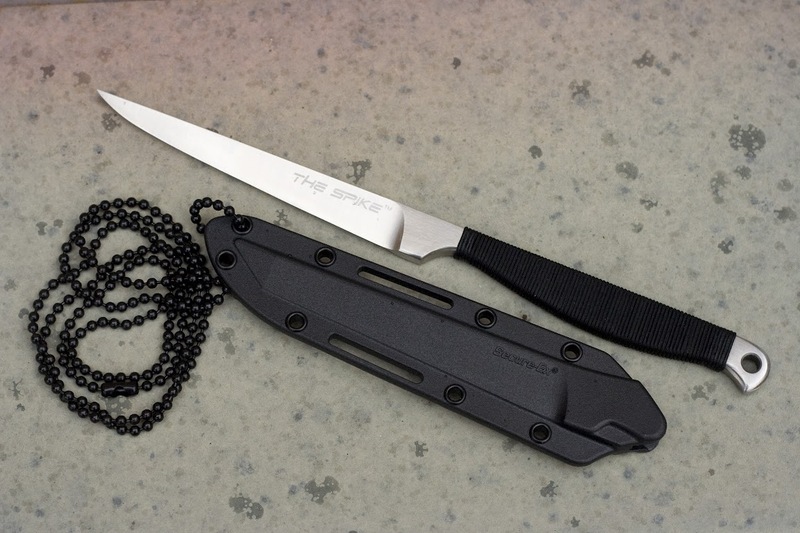 These days it ships with a molded Kydex sheath and a neck chain to jump on the neck knife bandwagon. I can’t find anyone that still sells the original leather arm sheath, and it’s entirely possible that it was a figment of my imagination. Made of a single piece of Cold Steel’s 420 Sub Zero Quench steel that is 7/32″ thick at the guard, and tapers to the thin point of the blade. The handle is cord wrapped and just slightly wider than the thickness of the blade, with a gentle curve to accommodate grip. The blade features a Scandinavian grind with a zero edge, meaning it comes out of the box wicked sharp. The Spike sits in the hand easily, if a touch small. I wouldn’t call it a confident grip. 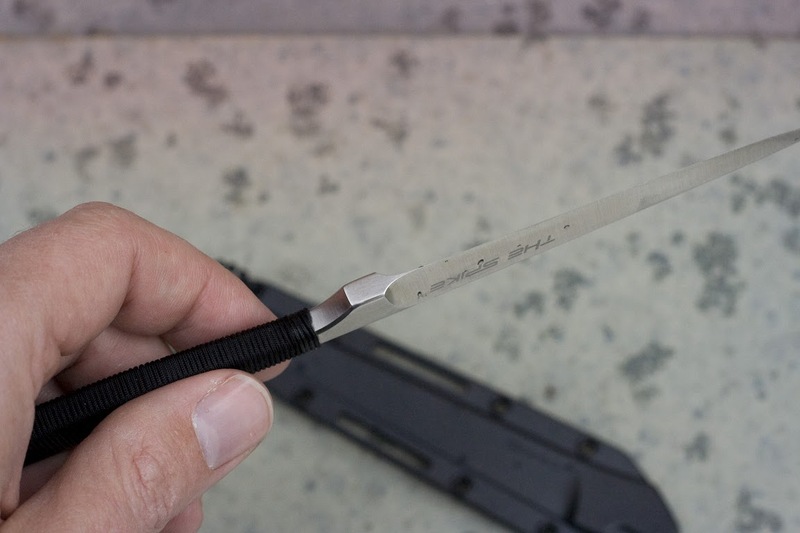 If your hands are large, you may find it difficult to get a solute grip on the narrow handle, and I’m concerned that any aggressive slashing may cause the narrow grip to twist in the hand and turn the blade. The zero edge grind presents some issues. It’s marvelously sharp, since there’s no secondary bevel, the only way to sharpen it is to lay the face of the blade against the stone. If you’re the kind of person that gets OCD shivers about scratching the blade, this is going to be a problem for you. Significant dulling, chips or dents will take a very long time to work out. On the other hand, normal touch ups won’t be difficult, but will mar the blade. The thickness of the blade makes it sturdy for such a small fixed blade knife, and while it whips through soft and thin material, it can be tough to work through harder and thicker materials. The sheath is adequate to the task of stowing the blade while not requiring a visit to the ER. It appears like it could easily be lashed to a belt by way of the small holes, but I’m not sure how valuable such a configuration would be. It’s too long to lay horizontally across the back without showing. It comes with a neck chain, but I think it’s too heavy and large to effectively and comfortably be used as a neck knife. Here’s the thing though. This isn’t working knife. It may be your EDC, but it’s not the kind of knife you’ll want to whip out to open the mail, cut zip ties, or strip insulation from cable. This knife is purpose built with one goal in mind. The super sharp but strong edge, the thick but shallow blade, the strong but thinly tapered point. This knife is nothing more than a fancy steel shiv. it’s designed to slip easily and deeply between the ribs and to slash smoothly through flesh. The Spike is the knife you hide in your boot when you’re sure you’ll be raped in the park. If this is your EDC knife, then you’re either in a very desperate situation, or a mall ninja of the highest order. Two situations which may be more similar than we’d like to think. The Cold Steel Spike gets a 4/5. Spec-Ops appears to be in the middle of a pretty substantial overhaul of their website. While T.H.E. Messenger Bag isn’t available through the web store yet, I did get a response from a customer service rep letting me know they could be ordered over the phone at (866) 773-2677. I just called and ordered mine and the price point is a very reasonable $179. I also found out there’s an extra large size, as well as the standard size bag. The standard bag seems like a more than adequate size, I’m having a hard time imagining how big an extra large one would be. As soon as mine arrives, and I get some time to put it through it’s paces, you can expect to see a review. Flashlights have been an indispensable tool since their inception at the tail end of the 19th century. Flashlights are such a reliable and ubiquitous tool that describing the benefits and applications of one is likely only necessary in the rare event that a cave man is unfrozen and starts to walk about, bumping into furniture in the middle of a power outage. Despite being commercially available for more than a hundred years, real innovation in design falls largely into three categories. Bulbs, Housings, and Switches. 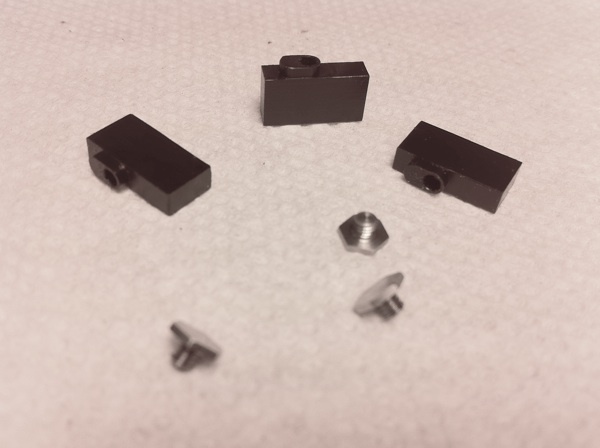 Bulbs and Housings are constantly being refined and adapted to operator feedback, leaving us with halogens, LEDs, milled aluminum tubes, space age polymers, etc. There’s really very little innovation in switches though. Most flashlights use just a few readily available switch types, and tend to gussy them up by placing them in different locations or covering and sealing the in different materials. So, naturally, Maglite has introduced the XL100 LED Flashlight. The rear mounted switch has five modes, selectable by rotating the marked bezel around the red button. Each of the five modes can then be further modified by rotating the flashlight along it’s axis in your grip. So, in the case of the Dim Mode, rotate it clockwise to dim the beam. It also features a lock out that can be activated by holding down the button and rotating the flashlight 180 degrees from front to back, and prevents the flashlight from being turned on until the process is reversed. My immediate thought was “Neat!” followed swiftly by “That all seems kind of awkward.” After some consideration, I can’t see many of these features being helpful for much more than demonstrating to your friends all the new features your flashlight has. It seems like little more than added complications to a device that normally excels at simplicity. The lockout feature, in particular, seems pointless to me. I’m sure this technology increases the margin on a staple product for Maglite, but I just don’t see it as being anything more than a gimmick. Maybe I’m wrong though, I’ve never used one. Here’s an interesting product coming from 10-8. The Glock Sight in Tool takes into account the minor variations in Glock front sights and assist the shooter in determining the proper front sight to purchase. The kit comes with a nylon sight blade, a set screw and some sand paper. Install the sight blade and fire a test group. File down the blade to increase the elevation of your shot group. Once you’ve reached the desired point of impact, remove the blade and now you know what height of sight to order for your pistol. You can order the Glock Sight In Tool now for less than $10. Triple Aught Design has released the Ranger Hoodie LT. Made from Polartec® Wind Pro fabric it looks to be a quality intermediate layer. It’s fit close enough to be worn under a hard shell as an insulating layer, but flexible enough to be a light weight outer layer as well. It’s got some nice looking implementations of standard features like pit zips. It also features some nice extras like thumb hole cuffs to cut down on wind up the sleeve and a hood that lays down to a high collar. Also, and this is important, there are zippers everywhere. The Kelt-Tec KSG has me wetting my pants, and I’m not afraid to say it. If you haven’t heard of the KSG, or don’t think anything should warrant such emasculating praise, let me give you the broad strokes on this firearm. It’s a bullpup 12 gauge shotgun that weighs 6.9 lbs and has a total length of 26.1″ and dual 7 round tube magazines for a total load of 14+1. The expected MSRP is in the $800.00 range. Maybe now you’re wetting your pants too. It’s okay. There’s no shame in it. It all sounds pretty awesome. If it works. Kel-Tech has some iffy history. Interesting engineering set off by a hoo hum public reception. The KSG is the company’s first shotgun, and it appears they just weren’t satisfied with doing something normal, or adopting a design that was tested and proved. The KSG is a whole new weapon, from top to bottom. 26″? Is that even legal? The KSG is a bullpup design, so the chamber is located not above or forward of the trigger, but behind, near the stock. This allows for a reduction of over all length, but still keeps it well within the legal limit of an 18″ barrel. A lot of people don’t like bullpup designs, and they don’t tend to sell very well. One of the concerns is having the chamber that close to your face. Even though the statistical likely hood is low, there’s a chance, every time you pull the trigger, that it may go boom. Next to your face is not where you want that to happen. Kel-Tech as thought of this though, and the stock encloses the action. It’s constructed of 1/16th” steel and should deflect any energy away from your precious face bits. The magazines are selected by a lever switch, and I’m not crazy about that, but I can see some advantages to it. I find myself thinking, “what happens in a defensive situation when I run all 7+1 rounds out?” Your next trigger pull gets a dry click unless you’ve had the presence of mind to move the selector switch. On the other hand, you’d face the same situation with any other shotguns. It’s a weapons platform that’s not really known for capacity. On the gripping hand, independently selectable magazines allows you to change up loads. Breaching rounds in one tube, and 00 in the other. Buck and slugs? Sure, why not. There’s some troubling news about trigger rest problems, namely, it doesn’t. If true, this is a big problem. Kel-Tech has admitted the the problem exists with the pre-production model seen at shows, and promises that it will be resolved by release time. I hope that’s true, because I really want to get my hands on one of these. County Comm is fast becoming one of my favorite websites. Despite the mid 90s design and headache inducing navigation, goodies abound for those diligent enough to scroll through pages of widgets and gizmos. Browsing the County Comm website is like pawing through the back rows of your local surplus shop. That’s how I found the Pocket Widgy. As the story goes, County Comm was asked to provide a pocket sized pry bar for troops in the field to open ammunition crates. Something that would be handy and hardy enough that soldiers would carry it and stop breaking off the tips of their bayonets. The result is a 4″ long piece of D-9 steel with a slight curve and a nice nail claw. it was so popular that they made a smaller one, the 3″ Micro Widgy. And then, even smaller, the Pico Widgy comes in at 2″. I ended up getting the Pocket and the Micro widgy. 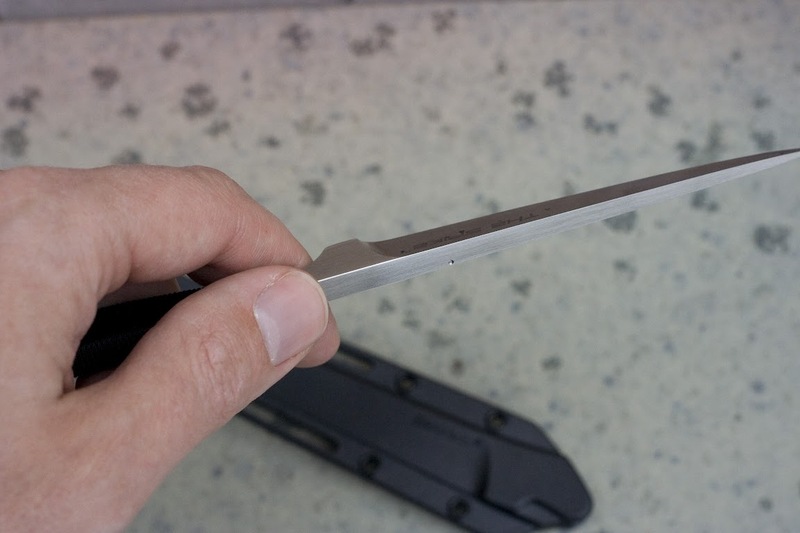 I figured having a 3″ pry bar in my pocket may be handy, but a 2″ pry bad was essentially a useless gimmick. Turns out I may have been a touch optimistic. I presume that the Pocket Widgy performs the task it’s designed for. Unfortunately, I can’t tell you if it does. I don’t have any wood ammo crates laying around. I do have some palettes in the garage though, so I laid the Pocket Widgy into one for about 20 minutes. Results were mixed at best. Staples and small nails were removed relatively easily, but the slight curve and short length don’t leave a lot of room for leverage. There’s simply not enough curve to form a proper fulcrum. Maybe it would be better if I used it for the task it was designed for. I jammed the Pocket Widgy in between the slats of the palette and gave it hell. For one of the first times in my life, giving something hell didn’t result in satisfactory results. I jammed, and pried and even did a bunch of swearing, all to no avail. I couldn’t get that slat to separate. Now granted, this palette is hard wood secured with long nails specifically designed to prevent separation. Ammo crates are, well, actually, I don’t know. I presume their made of a soft cheap wood like pine and designed to be opened instead of being designed to stack refrigerators on. In the time I was in the Army, I never actually saw an ammo crate. I’ll give the Pocket Widgy the benefit of the doubt on this. Additionally, I feel I should point out that in the process of trying to pry this slat off, I put my entire weight on the little pry bar, leaning all 200lbs into the stubby bit of steel, and while it did flex a bit, it was not deformed, and it held my weight. Not satisfied with those tests, I peeped about the garage for something else that needed prying and destruction. I chose a hard drive, and I attacked it with vigor. The Pocket Widgy was adequate to the task of prying up the PCB, easily making toxic little shards of controller card. It was less successful at prying off anything else, or otherwise significantly destroying parts of the drive. My blood lust was not satiated. So I drove the Pocket Widgy into a pine plank with a hammer. That was pretty satisfying. The Pocket Widgy sank into the wood, and using a little muscle, I popped it out, removing a chunk of the wood with it. The little pry bar suffered no apparent damage. My hand, on the other, hum… hand, was getting a little sore. Even after I’d wrapped it with 550 cord, the Pocket Widgy was still a bit too small and narrow for comfortable use. I’m pretty sure that if I had to use this thing all day long, I get some pretty beauty blisters. I really wanted to like the Pocket Widgy. It seems like a perfect little tool on the surface. How can you now like the idea of a pocket sized pry bar. After putting it through some tests, I didn’t even bother with the Micro Widgy. It’s just too short for just any practical use. Despite that, it’s still on my key ring. I tried the Micro Widgy on a beer the other day, thinking that it would be a good tool for accessing a beverage. Lacking a hook, I just couldn’t get enough leverage to pop the cap. I’m hoping that some day I’ll find a task these things are good at. The County Comm Pocket Widgy gets a 3/5.